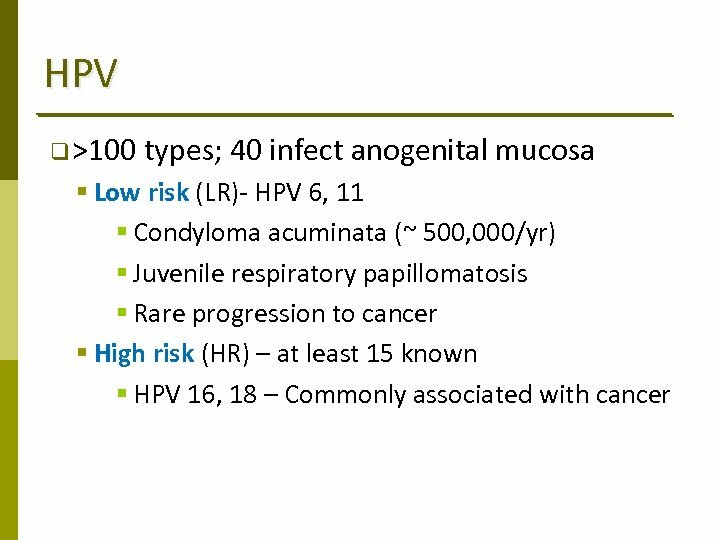 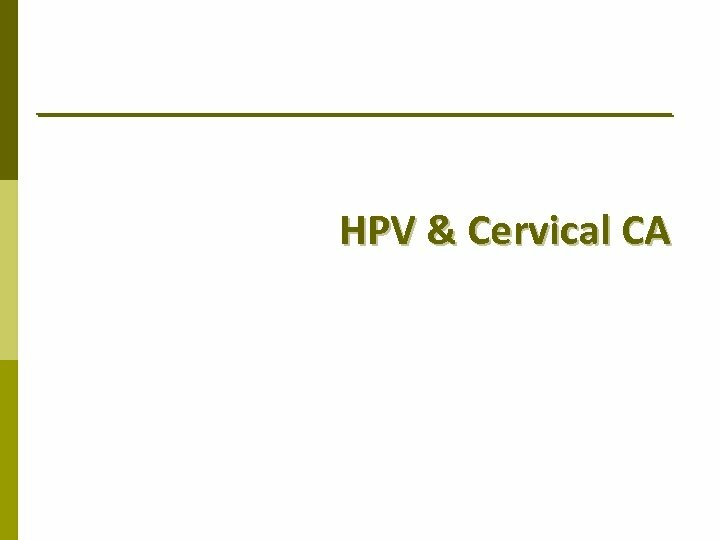 HPV cause papillomas Infects keratinocytes of § Skin: § hands and feet § Mucosa § throat § genital area. 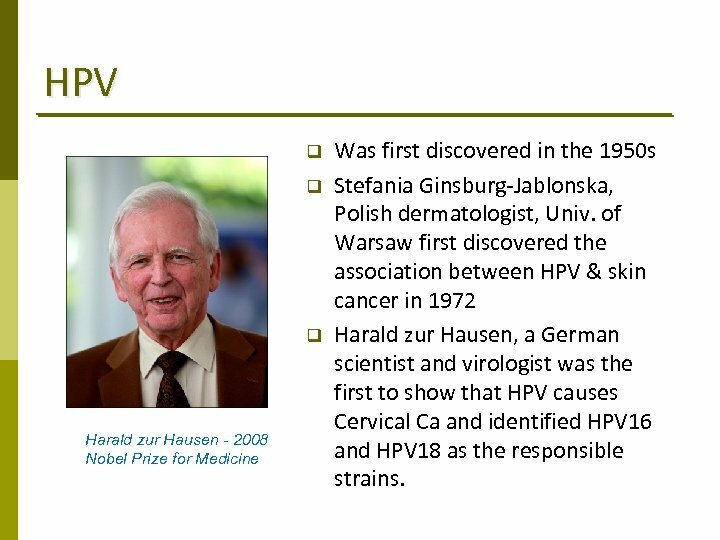 HPV q q q Harald zur Hausen - 2008 Nobel Prize for Medicine Was first discovered in the 1950 s Stefania Ginsburg‐Jablonska, Polish dermatologist, Univ. 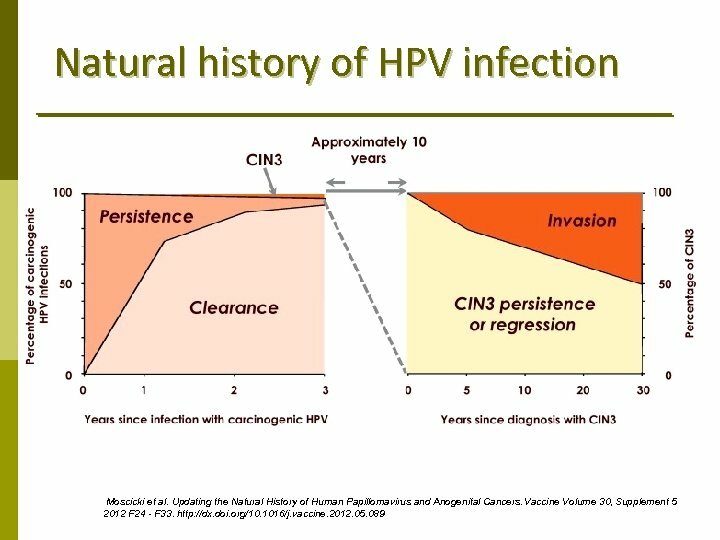 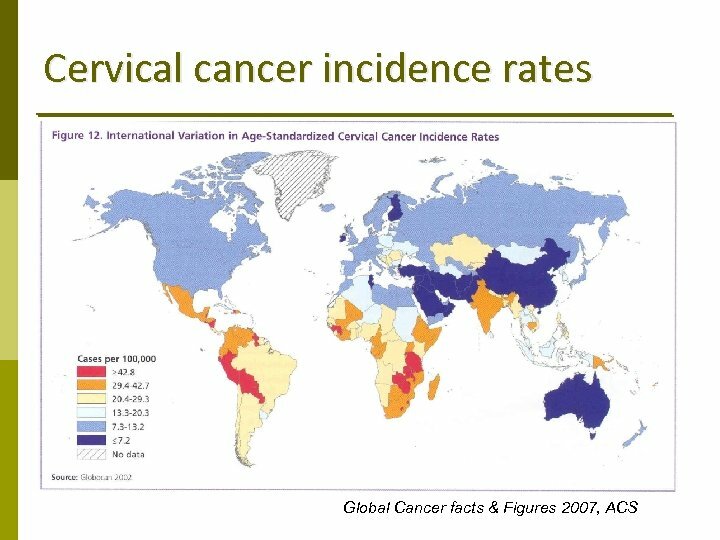 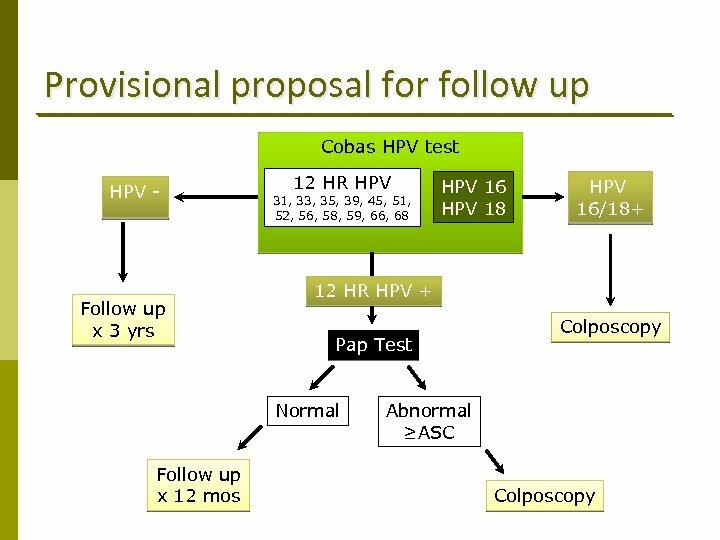 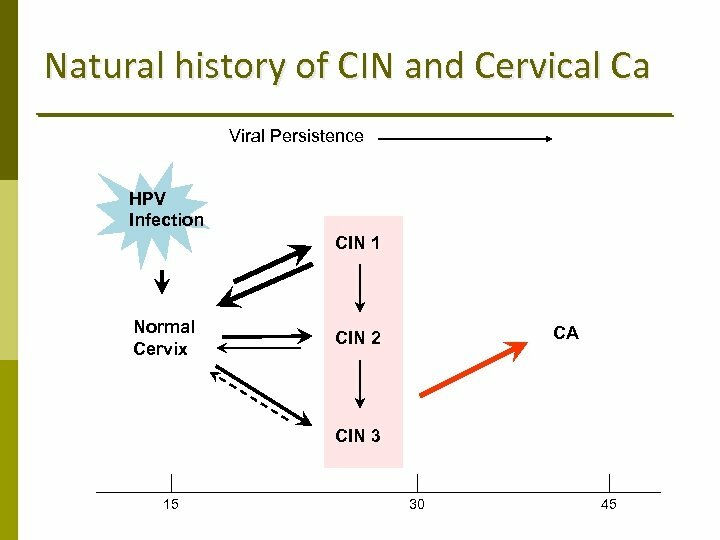 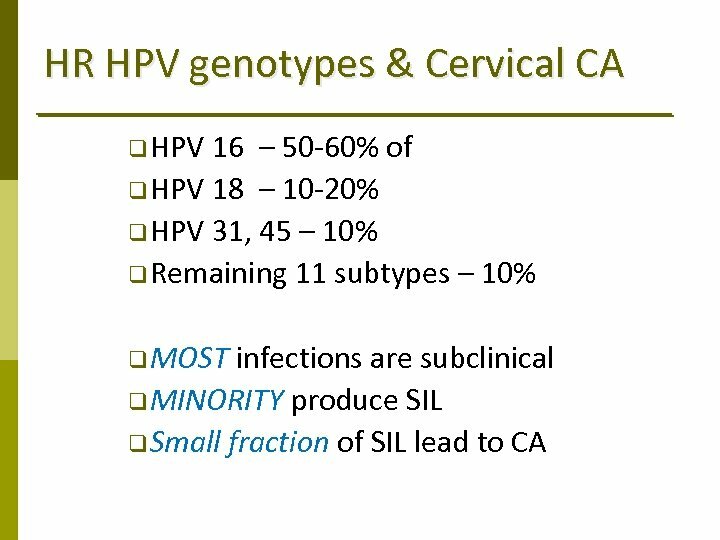 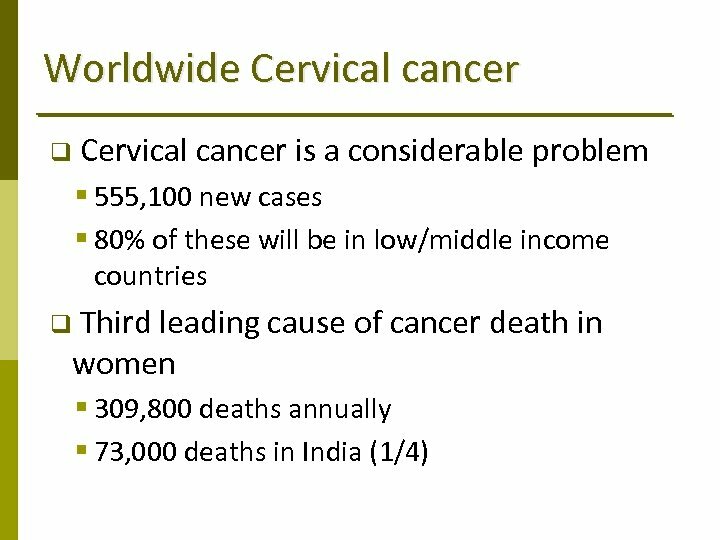 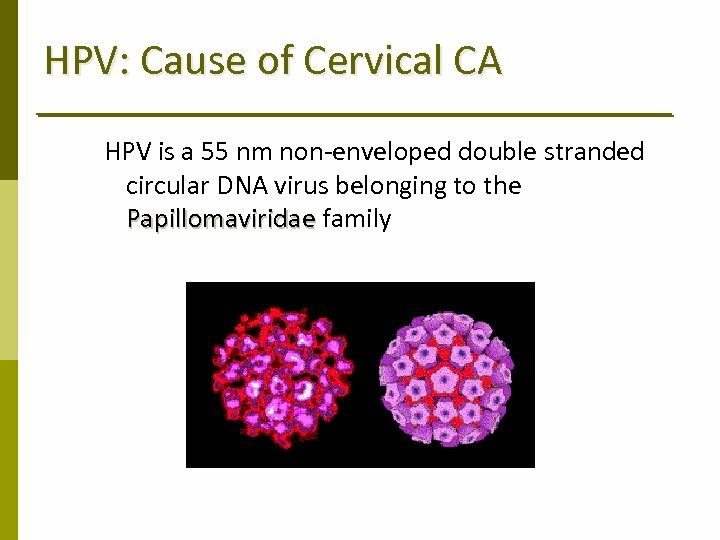 of Warsaw first discovered the association between HPV & skin cancer in 1972 Harald zur Hausen, a German scientist and virologist was the first to show that HPV causes Cervical Ca and identified HPV 16 and HPV 18 as the responsible strains. 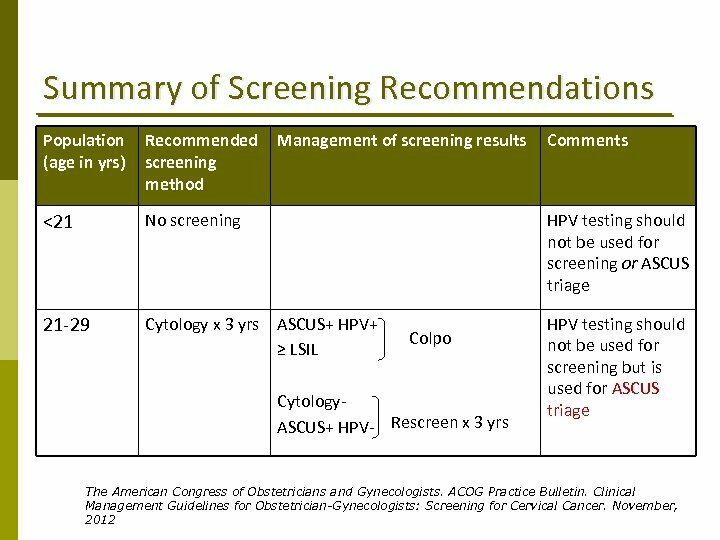 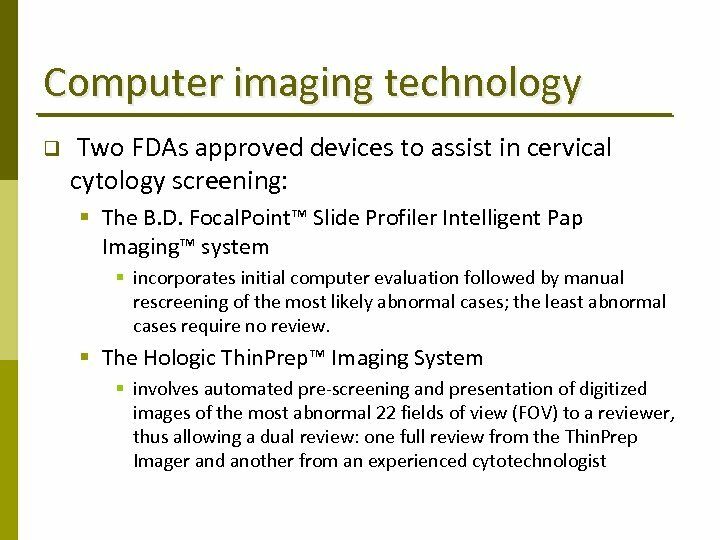 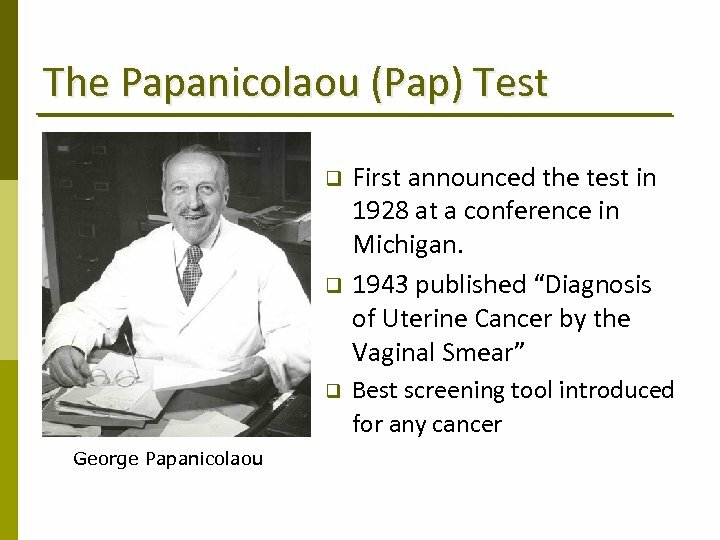 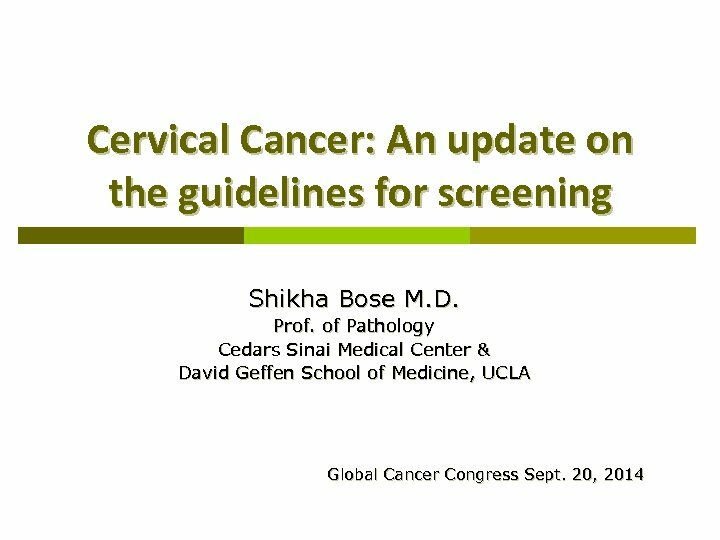 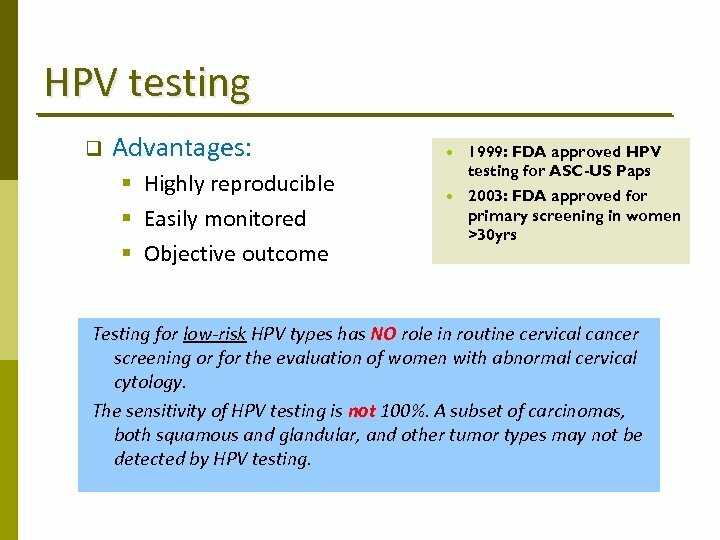 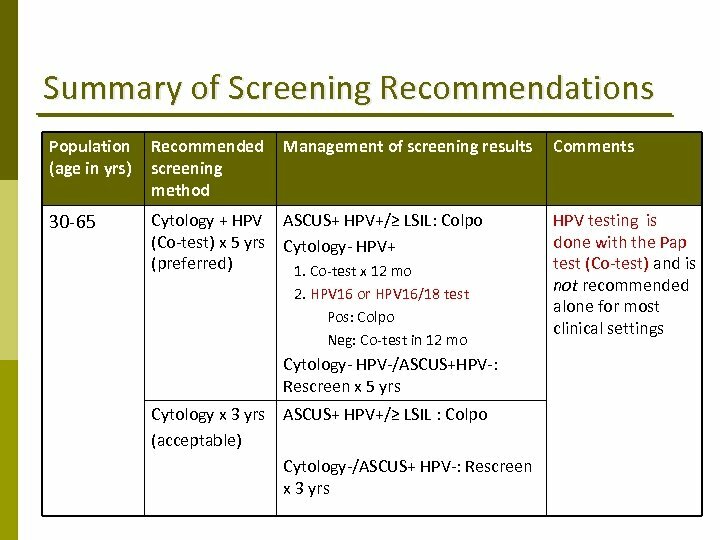 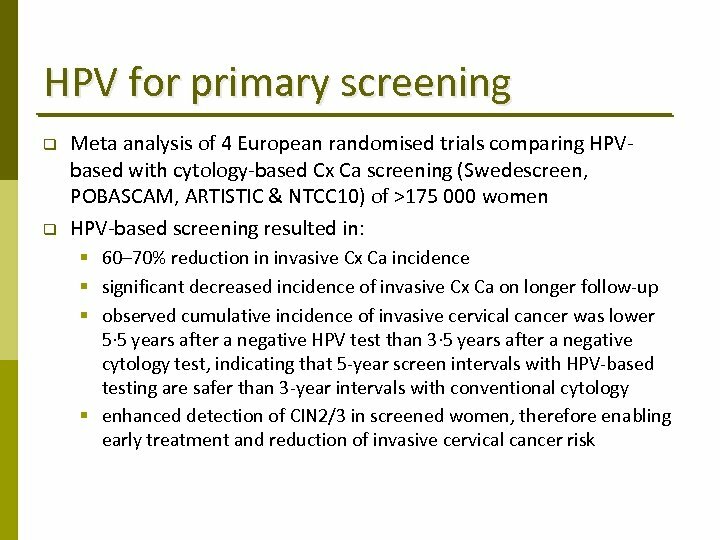 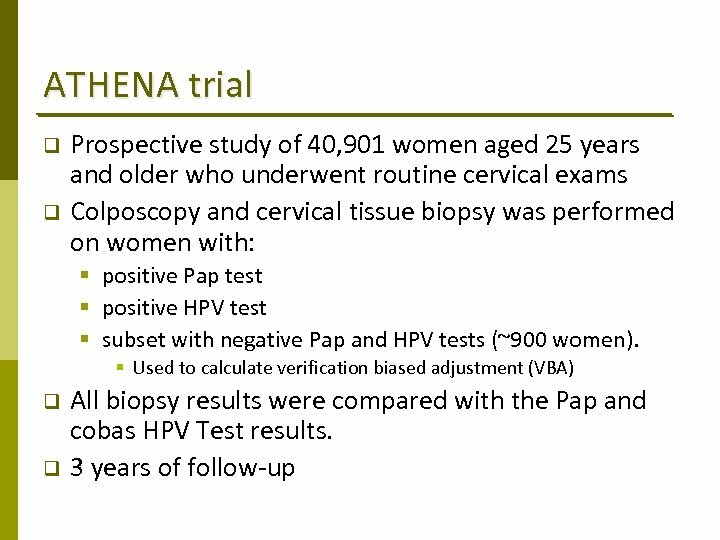 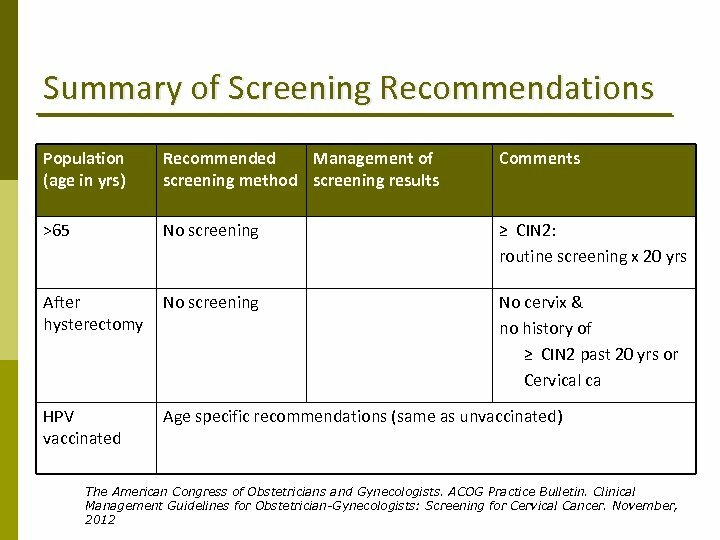 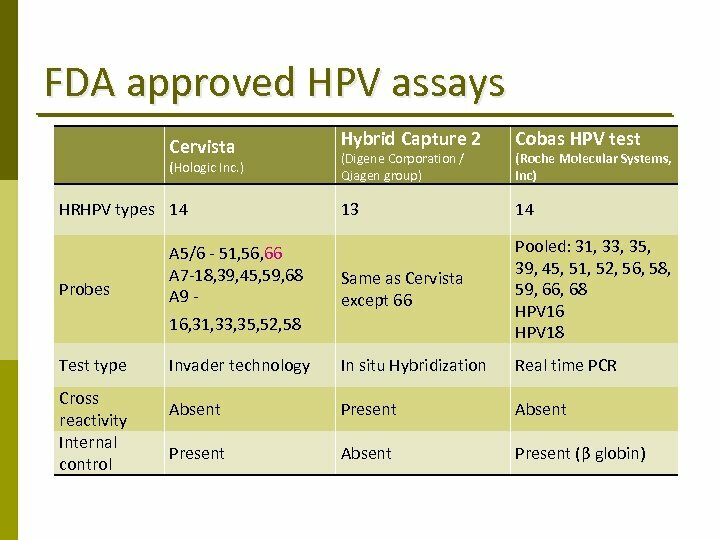 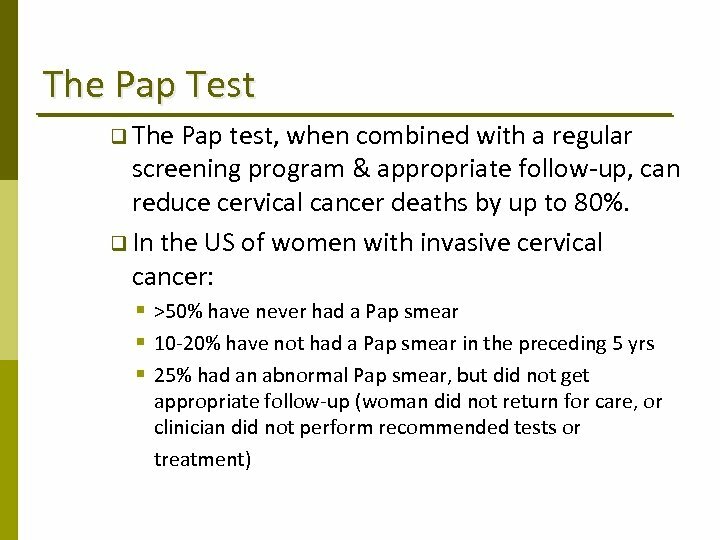 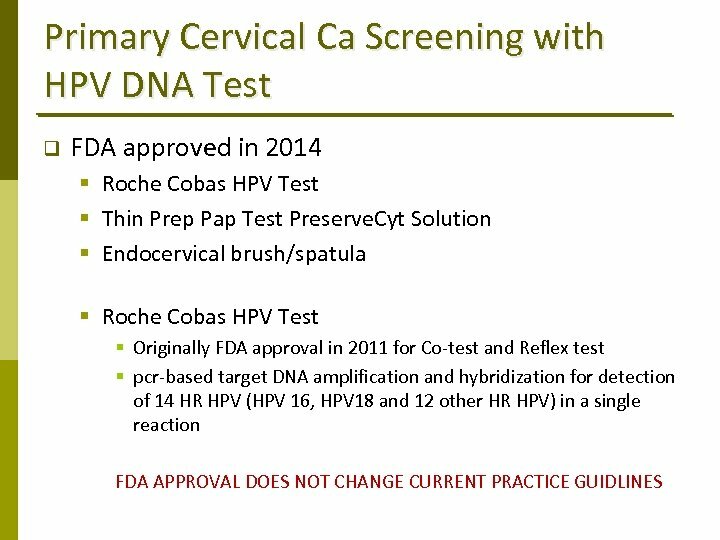 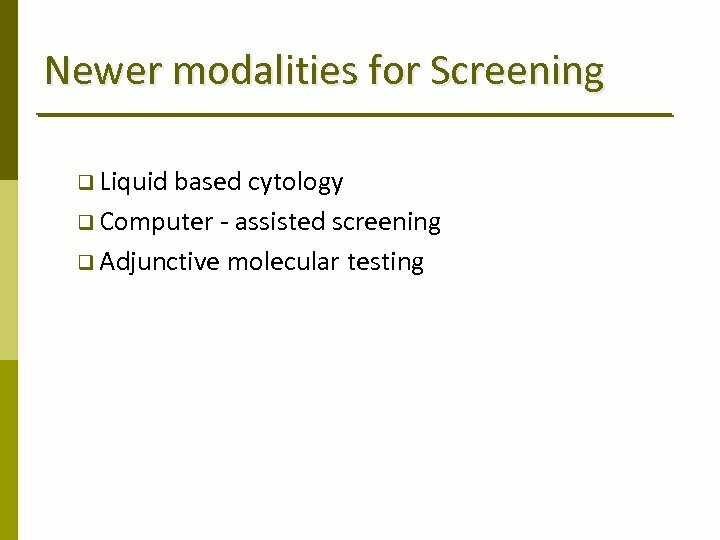 HPV testing q Advantages: § Highly reproducible § Easily monitored § Objective outcome 1999: FDA approved HPV testing for ASC-US Paps 2003: FDA approved for primary screening in women >30 yrs Testing for low-risk HPV types has NO role in routine cervical cancer screening or for the evaluation of women with abnormal cervical cytology. 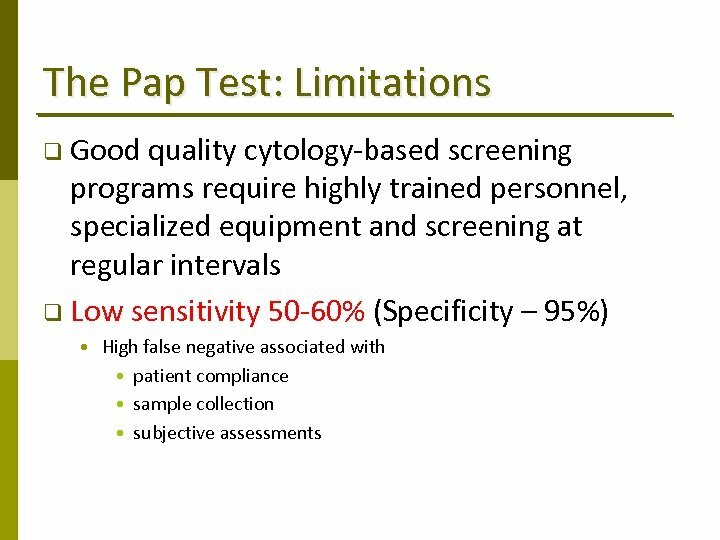 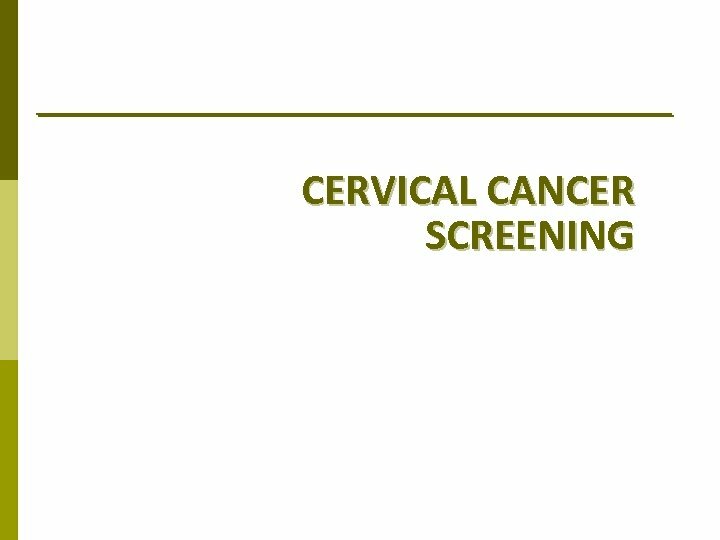 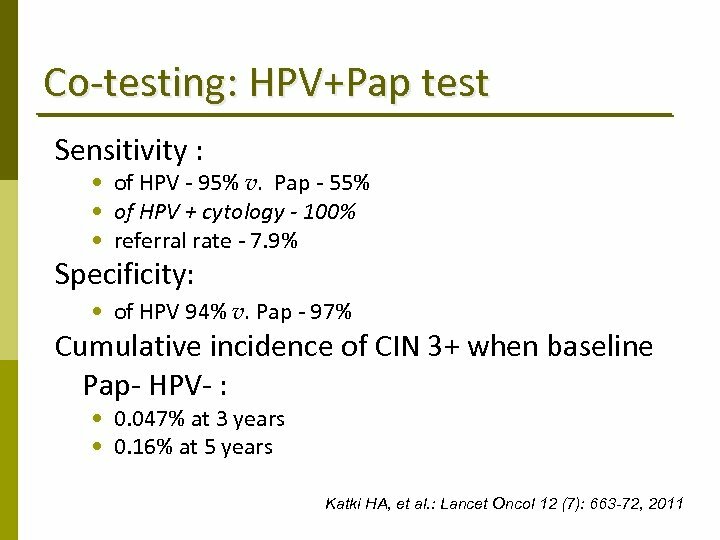 The sensitivity of HPV testing is not 100%. 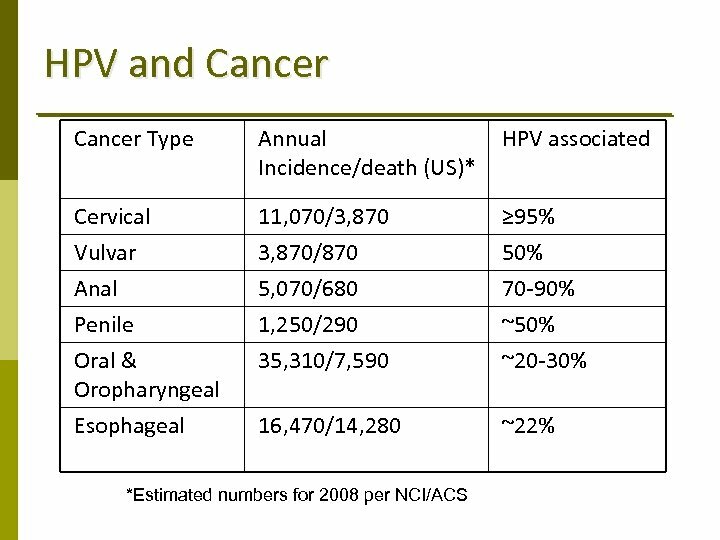 A subset of carcinomas, both squamous and glandular, and other tumor types may not be detected by HPV testing. 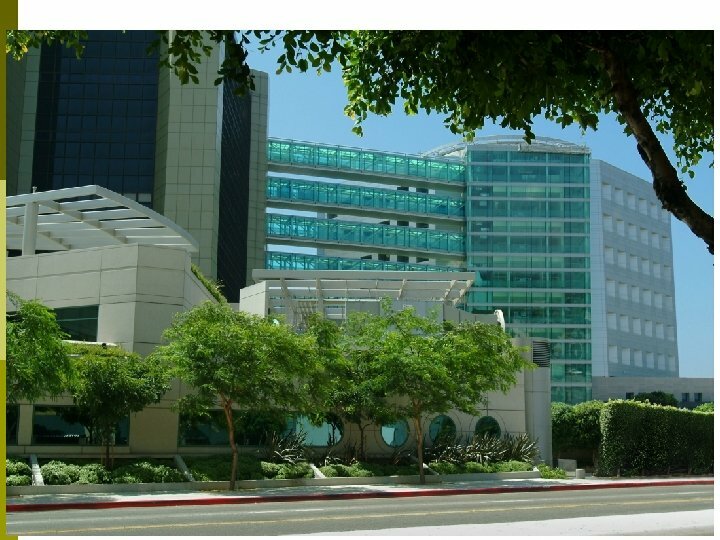 Dr. Isaac Roisman M. D. , Dip. 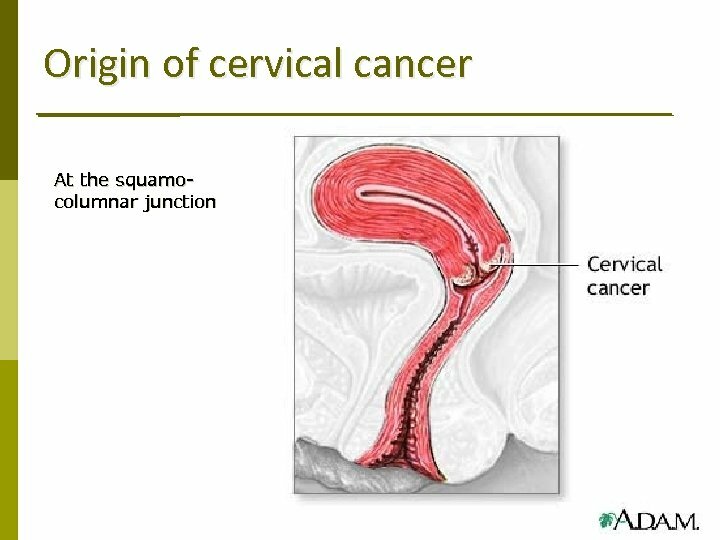 Surg.